"Jawn" is a word usually not heard outside of southeastern Pennsylvania, especially Philadelphia, McBride's hometown. It's an all-purpose noun whose meaning is supplied by the context of the conversation, the way the word "thing" is sometimes used. 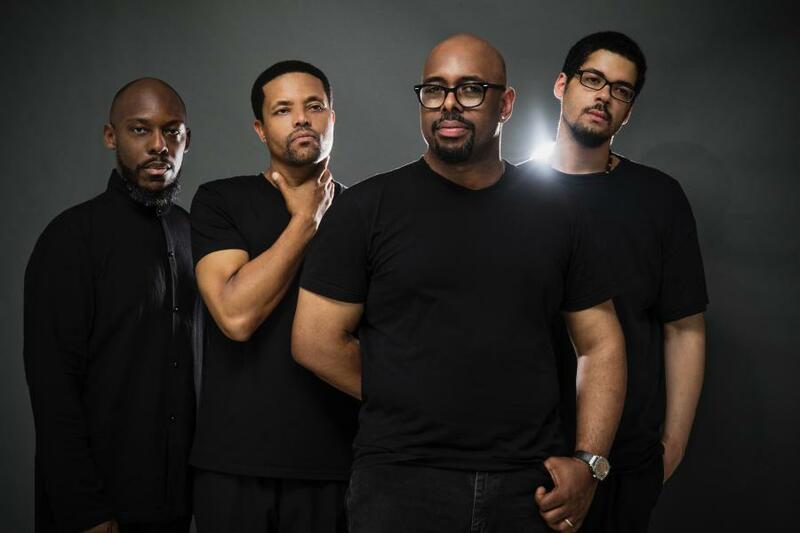 Bassist Christian McBride's new jawn is a new band, with Josh Evans on trumpet, Marcus Strickland on tenor sax and bass clarinet, and Nasheet Waits on drums, and they are a musical force to be reckoned with. We'll hear several tracks from them, and some music from the super, dream group known as the SF Jazz Collective, from their recent triple-disc release "Live SFJazz Center 2017" - - plus guitarist Fareed Haque and the KAIA String Quartet, a new album of music by Latin American composers; we'll hear them take on a work for guitar and string quartet by Cuban composer Leo Brouwer. Hear Blue Dimensions Saturday nights at 11:00 pm on KRCB-FM Radio 91 / streaming @ norcalpublicmedia.org / Comcast channel 961 throughout the Bay Area / Download the FREE KRCB App @ iTunes & Google Play!